Phones used to be almost as large as a hollow block, but now we can fit them in our palms. Supercomputers back then were the size of a house, yet their features and more have been condensed in laptops, desktops and tablets. Oh, and coolers – they have changed a lot too! From looking like a big treasure chest, they have transformed today into a smaller size that even toddlers will not find difficult carrying. 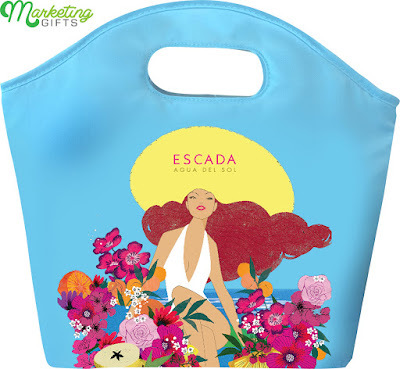 If you want to know what we are talking about, you should obtain this free cooler bag from Escada. What are the compensations from the said gift with purchase? Higher Level of Convenience. Old coolers take up a lot of space in the car if families or friends want to bring it in the beach. The free cooler bag allows them to leave the big ice chest at home, yet still be able to keep their beverages cold. Extensive Brand and Product Awareness. The promo gift is designed to only be used outdoors. If you are in the house, you can just store your drinks in the refrigerator. However, if you are outside, you need something to maintain their coldness. Consumers who bring the product with them increase others’ awareness about the brand. Additional Brand Significance. Promotional ideas that can be useful for the consumers provide additional significance to the brand, as people naturally admire those who give them special favors. Recognize how you can market your business with the strategies from the Marketing Gifts blog.